DEL MAR — Del Mar started the process to possibly bring Community Choice Aggregation, or CCA, to the county’s smallest city, unanimously adopting at the Oct. 3 meeting a resolution stating interest in exploring the feasibility of the renewable energy program. Councilman Dwight Worden said it is estimated more than 60,000 meters are necessary for a successful CCA. Del Mar has a few thousand. “We’re like the small fry,” he said. “We’re hoping our neighbors will get together and buy a big fancy car and then we can sneak in the back seat and ride in their car. Whether or not we’ll be able to pull that together in the form of a JPA and collectively actually buy the car is a big question mark that has yet to be resolved. CCAs, which are governed by state laws, allow cities to buy or generate alternative energy supplies while maintaining the existing power provider — in this case SDG&E — for transmission and distribution services. Del Mar began the process at the request of Mosier and Worden, who serve as liaisons to the Sustainability Advisory Board. That group helped with the creation of the city’s Climate Action Plan, which has set a goal to reduce greenhouse gas generation to at least 50 percent below the city’s 2012 baseline by 2035. “It’s commonly thought in the industry that the most realistic way to achieve that is by way of Community Choice Energy,” acting City Manager Kristen Crane said. 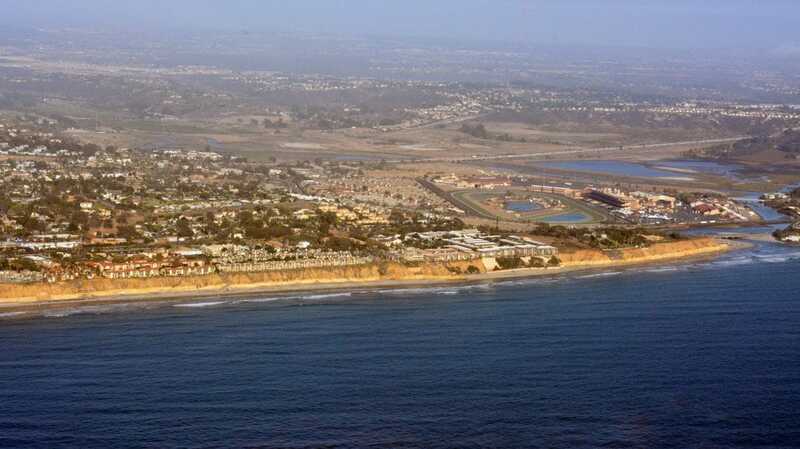 Solana Beach is further along in the process, having already completed the feasibility study. City officials are now reviewing three bids submitted in response to an RFP to find a partner to implement the program. Many residents support the idea, but others have started expressing concerns because there are so many unanswered questions and there has been limited public education. Mayor Dave Zito said community outreach is planned but has been minimal because city officials lack information at this point. Councilwoman Ginger Marshall said she believes Solana Beach put the cart before the horse. City Takes First Step in CCA Process, by Bianca Kaplanek, The Coast News Group, October 7, 2016.